This LED bulb is specially designed as a direct replacement for the Hella 2492 anchor light and for other manufacturers. 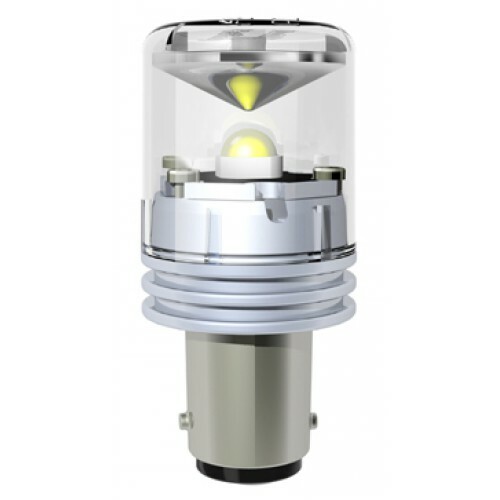 This high-quality bulb is the perfect way to reduce energy consumption on your boat with a current draw of only about 0.1A. This is especially well-suited for mast mounted lights, as their incredible reliability will mean an end to frequent climbs up the mast to replace nav light bulbs. A double contact version is also available for the Perko Series 0120, 0170, 1301, 0337, 0362, 0371, 0455, 0466, 1134, 1137, 1209, 1311, 1330, 1400, 1401, etc.